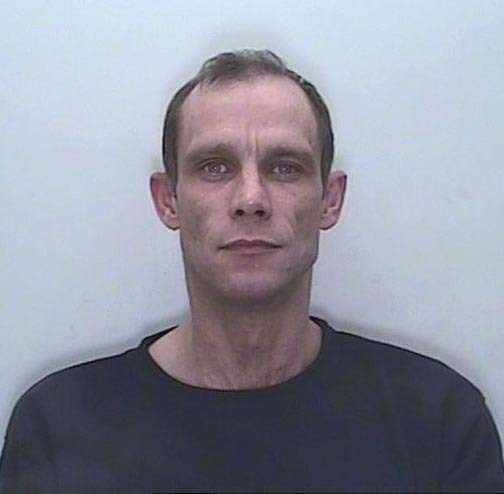 Former taxi driver Christopher Halliwell has been convicted of the murder of Becky Godden. The 52 year old strangled Becky and buried her body in a field in Gloucestershire, where her remains were found in 2011. Halliwell, who will be sentenced on Friday, is already serving life in prison for the murder of Sian O'Callaghan. Christopher John Halliwell, aged 52, has today been found guilty of the murder of Rebecca Godden, also known as Becky Godden-Edwards, at Bristol Crown Court. Becky was last seen by her mother in December 2002 during a turbulent time in her personal life. Her family had tried their best to get help for her but had not succeeded. The family believed that she had gone to live in Bristol with friends and that one day they would be reunited. Sadly, this would never be the case. Her death was only to be discovered following the disappearance of another young woman from Swindon. Both women, eight years apart, had been abducted and brutally murdered by the same killer. During the evening of Friday 18 March 2011, Sian O’Callaghan, 22, was with friends in Suju Nightclub. In the early hours of Saturday 19 March Sian became separated from her friends and left the club. Sian did not arrive home and the following morning, her boyfriend, Kevin Reape, reported her as missing. A major investigation was launched with unprecedented support from the media, local community and wider public. CCTV and Automatic Number Plate recognition (ANPR) was analysed and a vehicle was spotted circling Old Town. The taxi driver, later to be identified as Christopher Halliwell, was seen to stop in the area where Sian had been walking and put on hazard lights. After the vehicle pulled away, Sian could no longer be seen. On 24 March, following extensive inquiries, Christopher Halliwell was arrested on suspicion of Sian’s abduction and he subsequently took Detective Superintendent Steve Fulcher and other officers to where he had left Sian’s body in remote countryside just south of Uffington. Shortly after the discovery of Sian’s body, to the astonishment of officers, Halliwell offered officers ‘another one’ and directed police to another remote rural location, near the village of Eastleach, Gloucestershire. He indicated an area in which he had buried another victim. Excavation was carried out by forensic archaeologists and human remains were discovered. DNA analysis was carried out and a match was found. Becky’s family were given the devastating news. Halliwell made a further admission when he was in custody. He was examined by a doctor who asked him why he was at the police station; Halliwell replied ‘I have killed two people’. At the start of what has become a protracted legal process, Halliwell appeared before the court for a four day hearing in January/February 2012 in which legal arguments were heard regarding the admissibility of some of the evidence, including his admissions, due to the way in which it was obtained. The Honourable Mrs Justice Cox concluded that the Crown Prosecution Service (CPS) was precluded from relying upon the admissions made by Christopher Halliwell in relation to either murder or the circumstances in which the deceased came to be found as it would have an adverse effect on the fairness of the proceedings. However on 19 October 2012, Halliwell pleaded guilty to the murder of Sian O’ Callaghan. The judge passed a life sentence with a minimum term of 25 years. The investigation into the murder of Becky Godden continued and a complete review of the case was conducted. New lines of enquiry were pursued under the supervision of Detective Superintendent Sean Memory. Evidence from a friend of Becky confirms that she knew Halliwell and had spent time with him on several occasions. Another witness recalls seeing Becky and Halliwell in a pub in Eastleach. He intervened when an argument between Becky and Halliwell became aggressive and Halliwell threw a drink over her. The last known police sighting of Becky was by a PC patrolling in Swindon. He noted that he saw her in the town centre at 10.25pm on 27 December 2002. Another friend recalled seeing Becky in Swindon in ‘very early January 2003’ outside the ‘Destiny and Desire’ nightclub. Becky was seen to talk to the driver of a taxi, an argument ensued but she got into the car. Extensive ‘proof of life’ inquiries indicate that this was probably the last known sighting of Becky. She was not seen or heard from again and it is believed that Halliwell abducted Becky and killed her. At 5.25am on 3 January 2003, Halliwell called the RAC as his vehicle had run out of fuel. He had broken down on the A361 at Inglesham. This places him only a few miles from the field in Eastleach, just hours after she is suspected to have been abducted. Later that same day, Halliwell had visited his GP’s surgery. He complained of a sore right hand. The doctor noted that Halliwell had multiple scratches to his face and was distressed and upset. Halliwell told the GP that he had been assaulted the previous evening by a male passenger. No report had been made to police despite Halliwell making 19 previous reports, including assaults. It was also noted that he had no record of any fares during this time. As part of the case review, a number of items that had been seized from Halliwell’s home (12 Ashbury Avenue) were submitted for examination. Further compelling evidence of Halliwell’s guilt was found in soil samples from a roll of tape and a spade which were found in his garden shed. These were analysed by three experts and links were found to soil from the grave in Eastleach. The soil had unusual characteristics and the independent experts concluded that ‘there is a negligible chance of finding such a degree of comparability elsewhere’. Due to the unique circumstances the new investigation team and CPS faced and determination to ensure that the proceedings were beyond reproach, the case file including the new evidence was put before a High Court Judge. The judge indicated that the normal judicial process could continue. Halliwell was charged Becky’s murder in March 2016. In a further twist in the proceedings, Halliwell decided to represent himself. Following hearings at Bristol Crown Court on 21/22 July 2016, material including some of Halliwell’s admissions, fact that he had pleaded guilty to the murder of Sian O’Callaghan and was serving a life sentence was allowed into evidence to be put before the jury. The trial, which lasted for just over two weeks, began on 5 September 2016. Despite representing himself Halliwell refused to tell the court what his defence case was until he took the stand. In a dramatic turn of events Halliwell claimed that two drug dealers from Swindon asked to be taken to a remote location to ‘dispose of something they needed to hide temporarily’. He claimed that he left the men in Oxo Bottom Field and returned 45 minutes later to collect them. They had allegedly buried something that was contained in a sports bag. Sometime later one of the men told Halliwell that they had in fact buried a prostitute from Swindon in the field. He insisted that he did not know Becky and had nothing to do with her death.. He said that when leading Steve Fulcher to the ‘exact spot’ he did not know who or what was buried there. The jury, having heard all of the available evidence, found Halliwell guilty. He is due to be sentenced on Friday 23 September at Bristol Crown Court. Detective Superintendent Sean Memory who led the new investigation said: “This has been a complex and difficult case with many challenges but no matter what hurdles were faced by Wiltshire Police, the driving force was to secure justice for Becky and her family. Halliwell preyed on lone vulnerable women and targeted them for his own sexually motivated gratification. From the injuries recorded by Halliwell’s doctor it is clear that Becky bravely fought Halliwell as he attacked her. We believe that Halliwell carefully planned the concealment of Becky’s body. He has since tried to deny that he knew her or that he killed her, despite taking police to her body. This has shown the lack of respect he has for her family and those who have suffered due to his actions. Throughout the trial Halliwell denied murdering Becky and tried to implicate unknown drug dealers as being responsible, this has caused a significant impact on the family of Becky. The fact that evidence in relation to the murder of Sian O’Callaghan has been relived throughout this trial has been harrowing for her family and friends. We will now never know whether Becky would have realised her potential or what kind of young woman she would have become. She was never given the chance to turn her life around due to the actions of Christopher Halliwell. I sincerely hope that Becky’s family may take some respite now that they know this process has finally concluded. This has been a long drawn out legal process and all of the families involved they have continued to show dignity despite how difficult this has been. Statement from Assistant Chief Constable Kier Pritchard: “The impact of this tragedy has been felt across Wiltshire Police and throughout the communities of our county. The journey to this point has not been easy. The force has had to deal complex legal issues which threatened to stall the entire process. However, we never gave up the pursuit of justice for Becky’s family and for all who have been affected by these murders. We cannot forget that Halliwell took the lives of two young women and in doing so he also ruined the lives of their families who will never be the same again. They have endured a lengthy legal process, showing courage and dignity throughout. Justice has now been obtained due to the expertise and resolve of D/Supt Memory and his team along with the Crown Prosecution Service and I commend their work on this case.